Added 720p50, 720p59.94 and 720p60 format support. Improved sensor exposure sensitivity by 2 stops. Added new gain setting range which now goes from -12dB to +12dB. Added RAW SDI output feature. Refer to the user manual for information about capturing and unpacking RAW SDI video. Added support for PTZ communication on Expansion port via VISCA. Refer to the user manual for protocol details. Added support for PTZ commands in the Blackmagic SDI Control Protocol. Added preview tally support for the front tally light. Added tally indication on the HDMI display overlay. Added indication to the user that camera is genlocked on the HDMI display overlay. Added option to change camera frame rate via S.Bus. Added option to toggle record via S.Bus for external recorders. Added feature to pass through remote record commands as SDI and HDMI record triggers for external recorders. Hi Manu4Vendetta. Interesting test, but, I wonder about the aperture choice? Did you really use f14, or did you really use f7 to obtain the 'full frame equivalent of f14'? If you really used f14 on these u43 sensors, I fear diffraction may have muddied the results? Sigma 19mm f/2.8 EX DN Performance Sharpness in the centre of the image area is already outstanding at maximum aperture and the clarity towards the edges is very good. Stopping down the lens improves sharpness towards the edges further, with peak quality across the frame being achieved between f/5.6 and f/8." @dlzn I'm with @IronFilm that the studio camera seems like an odd choice for the style of stuff that I've seen from you - in particular, the need to carry an external recorder doesn't seem super well-aligned with your run and gun style - and since you mentioned the camera fitting your budget, don't forget the cost of an external 4k recorder/batteries/media which will add about another $1000 minimum to the cost of rigging this up. 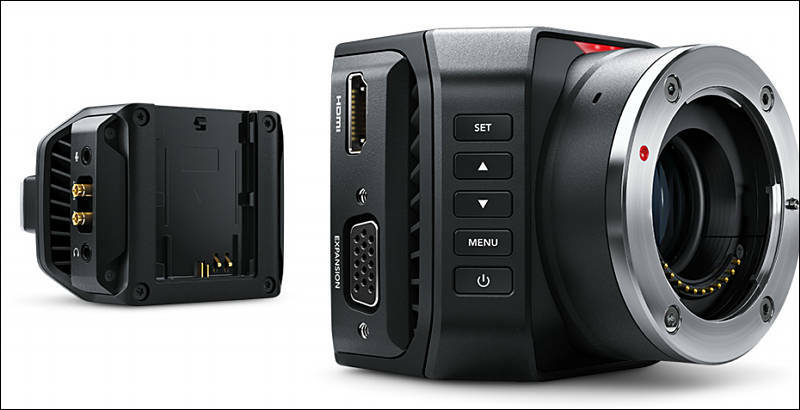 If you don't care about 4K, consider a current model black magic pocket cinema camera - it makes a really nice image, is small/portable, can record raw to SD card, and I've seen them go on sale for around $500 new before so I have to assume that they're pretty inexpensive on the used market as well! If you do care about 4K, consider a GH4/GH4R. It'll cost about the same as this studio camera and it makes a nice picture. It'll also use all of the lenses that you currently use on your GH2 without any real surprises. Thus my conclusion: I find it very strange why you'd want this camera?!?!?! Taste?? What is there to like especially about its look.... generally the studio cameras are not praised particularly for their look. It is BMD's film cameras instead which get all their praise for pretty looking images out of the camera.